Update to 9th Circuit Court of Appeals strikes down Tucson’s electoral system, appeal to follow. In November, the Tucson City Council voted 5-0 to file an appeal for an en banc review by the 9th Circuit. Tucson’s unusual election system may not be unique after all. The state of Washington is joining the city’s appeal of a recent opinion from a three-judge panel on the U.S. Ninth Circuit Court of Appeals. The 2-1 split opinion said Tucson’s election system, which uses a ward-specific primary election and a citywide general election, is unconstitutional because it excludes some voters from the primary election based on the ward in which they live. That’s a violation of the 14th Amendment, the “one-person, one-vote” protection, the majority opinion said. The city is appealing the decision and asking for a review by an 11-judge panel of the 9th Circuit. Now, the state of Washington and its Secretary of State have joined the appeal through an amicus brief because 32 of 39 counties in Washington use a similar hybrid election system to elect their county commissioners. Twenty cities and many school districts and special-purpose districts also use hybrid systems to elect city council members and board members, according to the court filing. The amicus brief shows the opinion affects a lot more elections than just Tucson’s, Rankin said. Other jurisdictions with similar election systems could join, too, said Tucson City Attorney Mike Rankin. “We were glad to have them join up and raise some of the same issues we think are important,” he said. An appeals court decision sets precedent for the entire Ninth Circuit, which includes Arizona, Washington and nine other states and territories. “The panel opinion threatens far more elections than the majority understood, and it deserves more careful analysis,” Washington’s Deputy Solicitor General Rebecca Glasgow said in the amicus brief. There is a group calling itself Tucsonans for Fair Elections, led by Timothy DesJarlais, Aaron Taylor and Kile Waldrup, circulating petitions for a ballot initiative that would change Tucson’s system to ward-only elections. 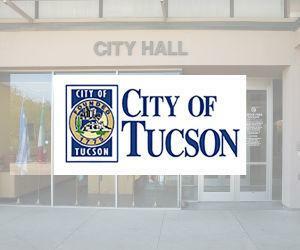 The City of Tucson is likely to refer two ballot measures giving voters the option of either ward only or at-large elections on the 2016 ballot. The opinion by the majority of the 9th Circuit panel appeared to favor at-large elections. Now, there is a great question in municipal governance about how city councils should be elected. Should they be elected by district, ensuring diverse geographical representation and greater attention to local concerns? Or should they be elected citywide, to ensure that parochial interests don’t overwhelm what’s best for the city as a whole? Some cities try to create a blend, electing some city council members by district and some at-large. And some use a so-called hybrid system such as Tucson’s, with nomination by district and election at-large. That, theoretically, results in all members of the council being attentive to both local and citywide concerns. Political scientists can debate all day about which is best in what circumstances. But the notion that a hybrid system is per se unconstitutional, and cities can’t even consider using it, would strike the framers of the 14th Amendment as a perversion of their handiwork. If the 9th Circuit grants en banc review, a majority of the 11-judge panel are likely to agree.